The David Starr Jordan Hall of Biology was formally dedicated on the campus of Indiana University, Bloomington, on June 8, 1956. Known as simply Jordan Hall to thousands of students, the name honors one of the world's foremost ichthylogists and educators of his time. Jordan was professor of natural history at Indiana University from 1879 to 1885, and President from 1885 to 1891. He then became the first President of Stanford University. During a visit back to Indiana University, Jordan addressed the students at the university chapel. Little of his speech has been preserved in the university archives, but the former president was remembered to have joked that he was not ambitious to have a building named after him, but he wouldn't mind if an on-campus stream known in those days as "Spanker's Branch" could be renamed "Jordan River." According to the Indiana Alumni Magazine [vol. 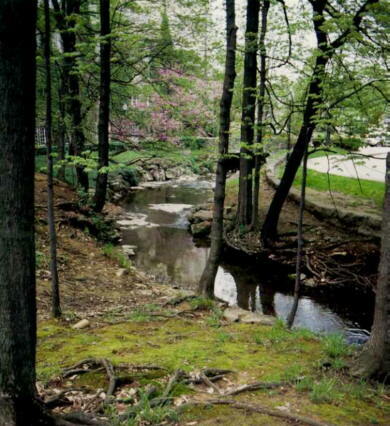 18 (June 1956) page 7], "The little brook was immediately so re-named and so it has been ever since, whether dry in summer or a rushing torrent after a spring thunderstorm." 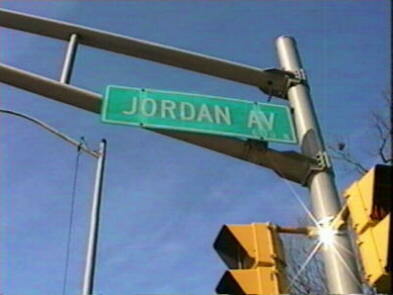 A third Jordan landmark on the campus is Jordan Avenue, the widest, longest, and busiest street that crosses the campus. 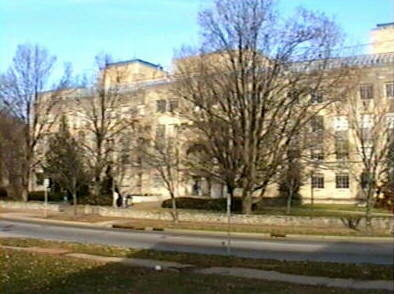 In 1984, Indiana University Archives Associate Bruce Harrah-Conforth reported on the history of Jordan Avenue. He found that its previous name, Jordan Street, first appeared on a campus map in 1914, and he traced the existence and probable naming back to 1905. The report concludes that it is unknown "who christened it Jordan Street. It is fairly certain, however, that this name was given in honor of David Starr Jordan."